Due to overhead locker cabin space limitations, only 90 normal cabin bags (55 x 40 x 20 cms) can be carried in the cabin and any remaining normal cabin bags can be carried free of charge in the aircraft hold. 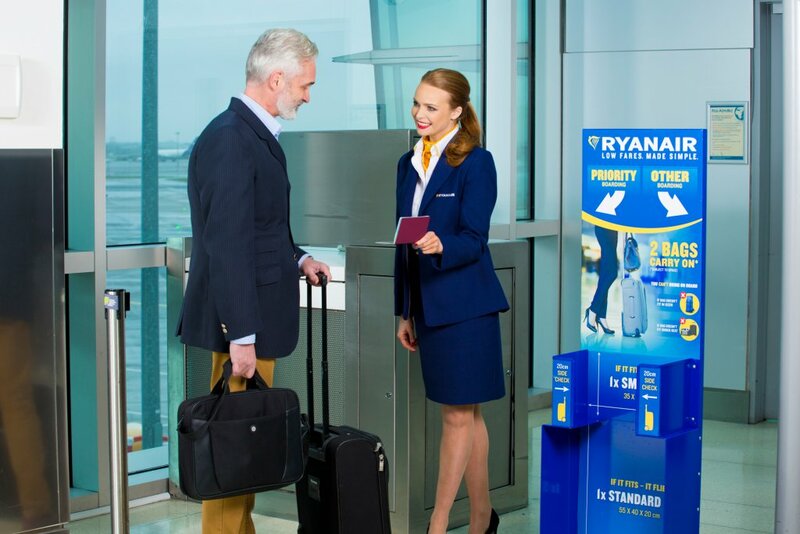 Both carry-on bags must fit in the sizer at the boarding gate and any oversized cabin bags will be refused, or where available, placed in the aircraft hold for a fee of £50/€50. Customers who purchase Priority Boarding are guaranteed to get their bag on board as they board the aircraft first. Priority Boarding can be added to a booking from just €5. Customers travelling on short 2-4 day breaks who wish to ensure their cabin bag doesn’t go in the hold, are advised to add Priority Boarding. Customers who are travelling on holidays for longer periods and who wish to bring larger than 10kg bags are advised to select checked-in bags and check their luggage into the hold. “Despite our repeated messaging, some customers are still attempting to bring larger than permitted bags onboard, which are causing delays at the boarding gate. As advised, customers are permitted to bring a normal cabin bag and a smaller bag onboard. However, many customers are repeatedly exceeding our cabin baggage allowance and we will be left with no choice but to review our policy should this practice continue.